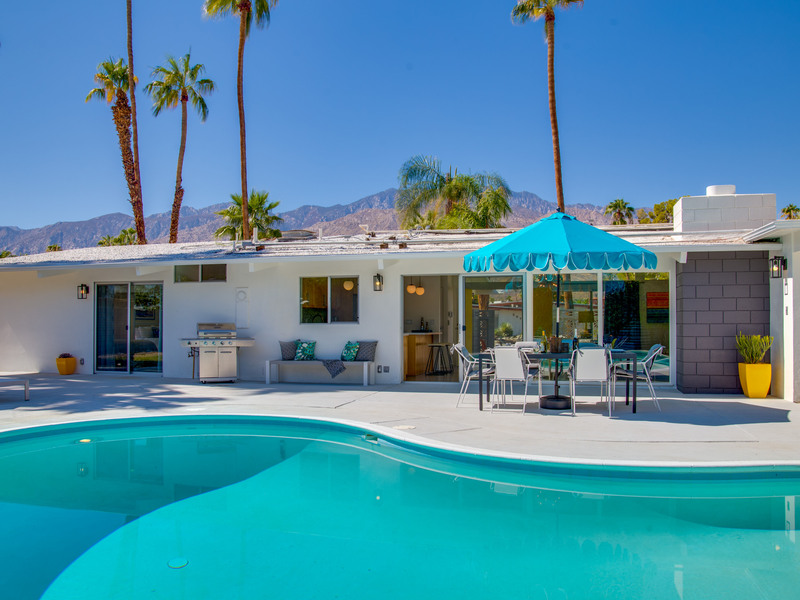 Welcome to the Jagger House - a Rockers' Paradise that was made for relaxing in the sunshine. 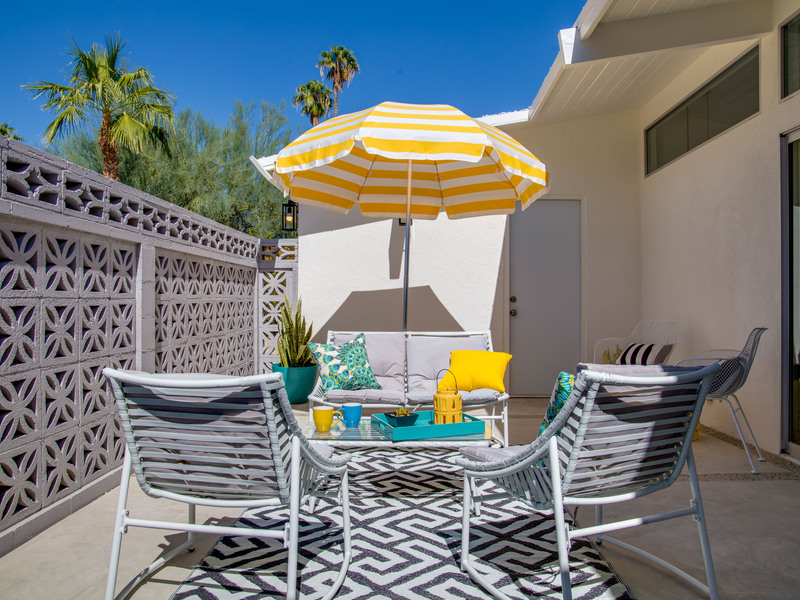 Stunning midcentury architecture, gorgeous designer furniture, colorful and fun pop art, and a very private resort-style yard with a huge free-form pool, al fresco dining, and a firepit lounge that is perfect for long evenings under the stars. 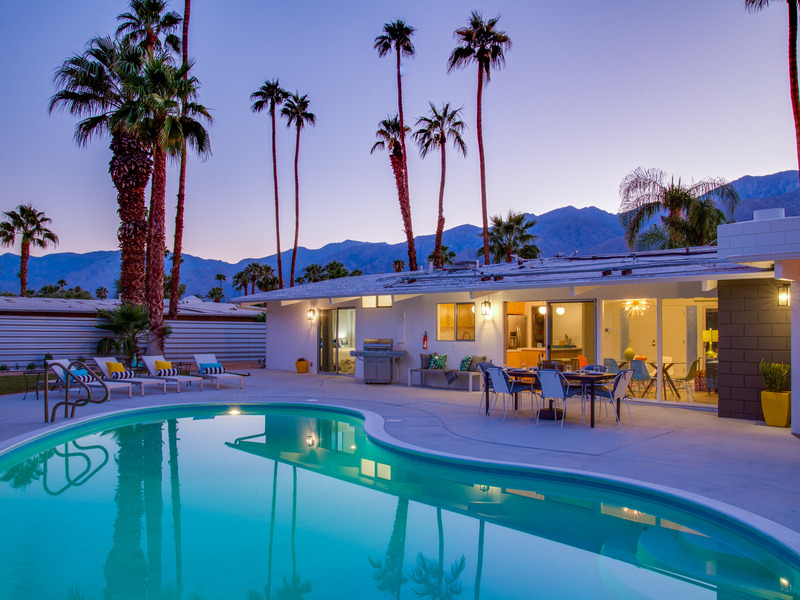 The sunrise views are awe inspiring and the overall vibe is very Palm Springs. 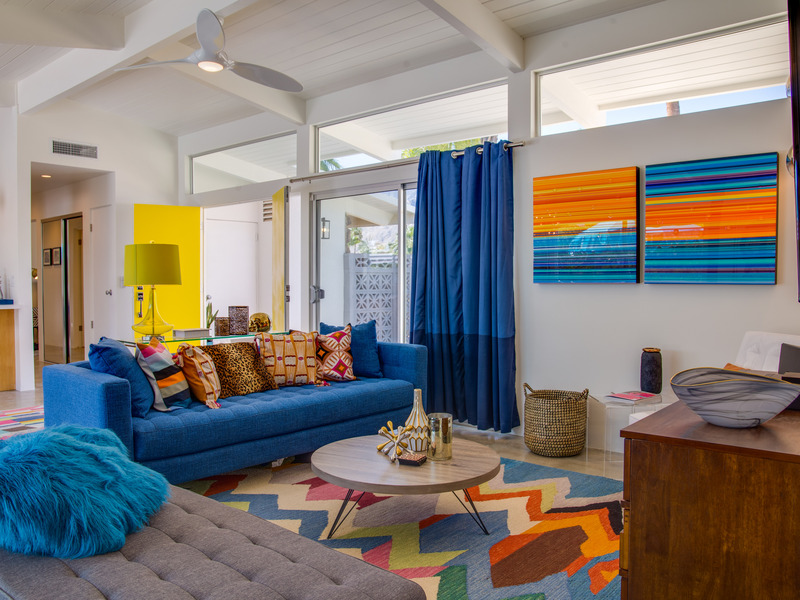 High-style designer chic meets mid mod swank to create The Jagger House - a comfortable, livable space where it's all about the laid back California lifestyle. 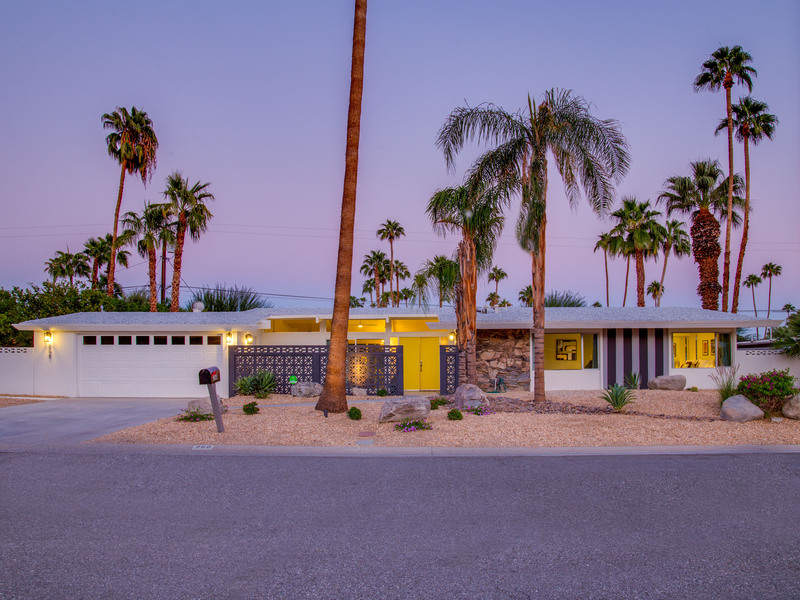 An Instagram darling with photo ops everywhere, the Jagger House has been featured on the Modernism Week home tour, and is often the first choice for visiting travel bloggers, social influencers, musicians, and Hollywood types. Read the reviews - this is a stand out piece of eye candy with music is in its bones. It's a favorite place to stay for bands playing Pappy and Harriets. 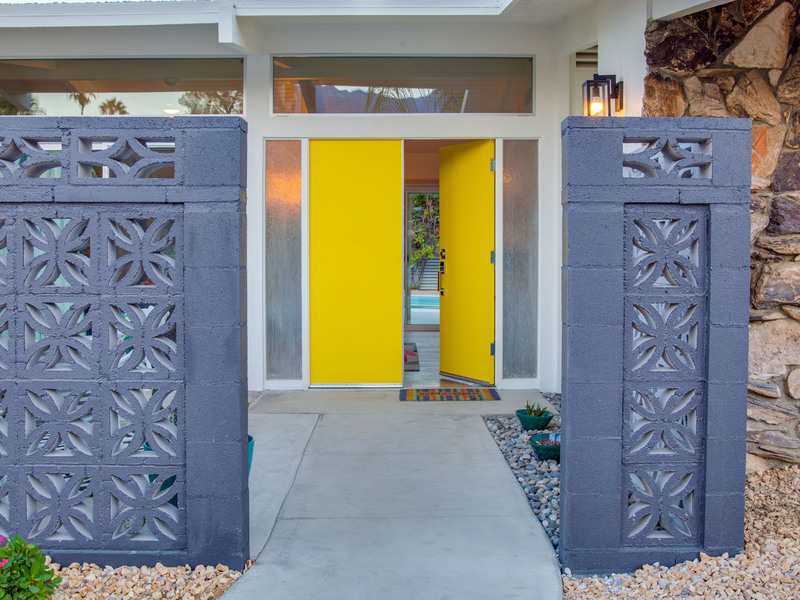 This home is rich in history; including Judy Garland's dress designer, that lived here in the 50's - Judy used to come to the house! Estelle Harris, known as playing George Coatanza's mother on Seinfield and a voice on Toy Story movies has spent a lot of time at the house. 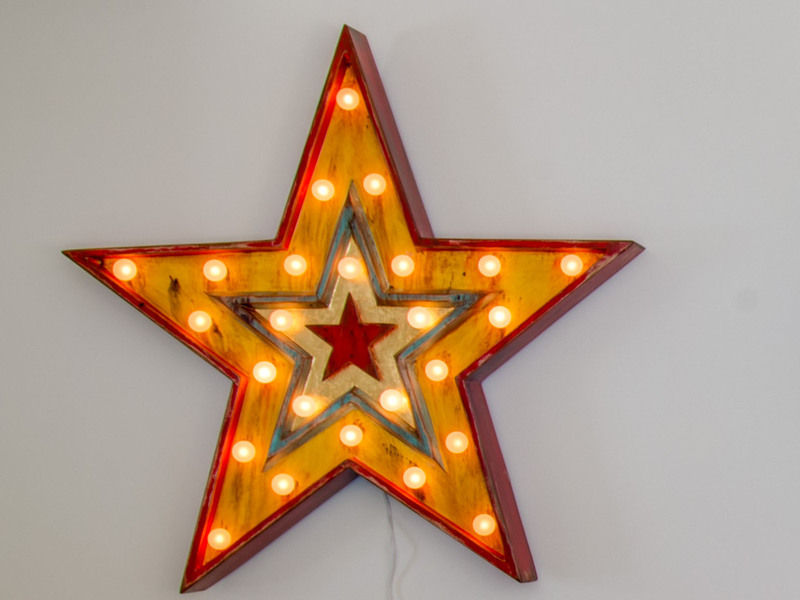 The current owner works in the music industry and songwriters from LA and Nashville have written 100's of songs here, including huge hits and Grammy nominated songs. 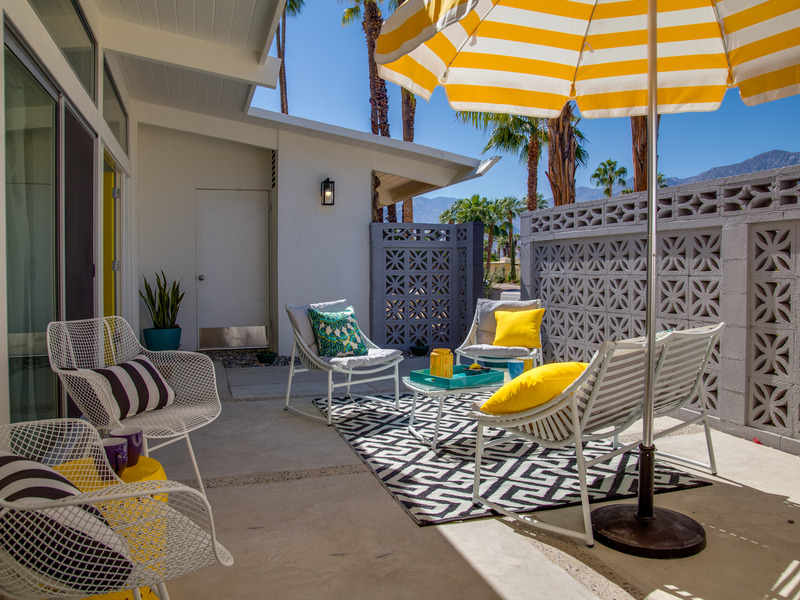 This better than new Palm Springs Vacation Home Rental is all about blurring the lines between indoor and outdoor living. 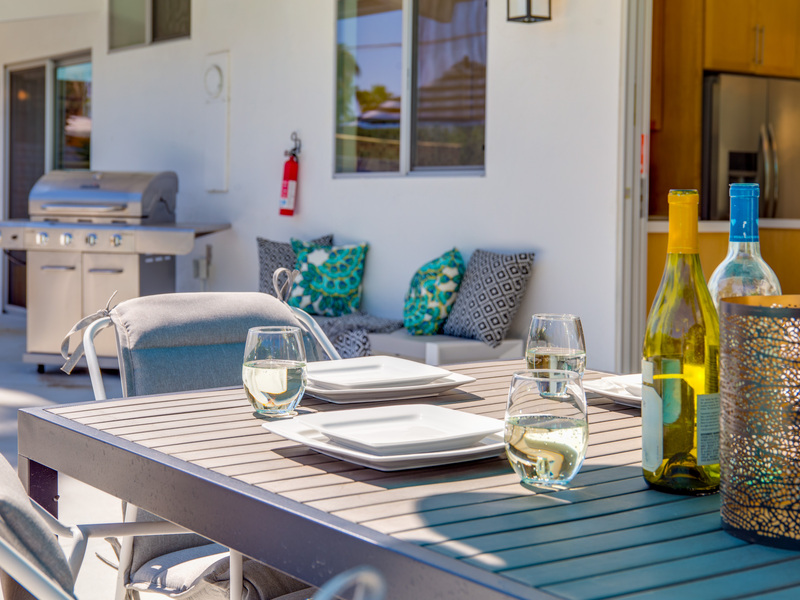 The entire property has been completely renovated. New kitchen, baths, floors, windows, doors, climate control system'even the yard and pool are new. 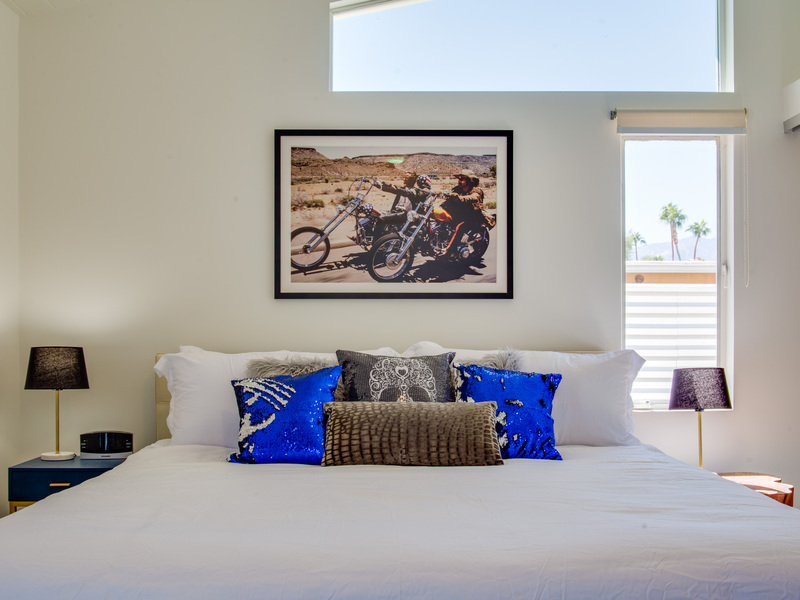 All created with an edgy rock and roll sensibility yet respecting its architectural pedigree. 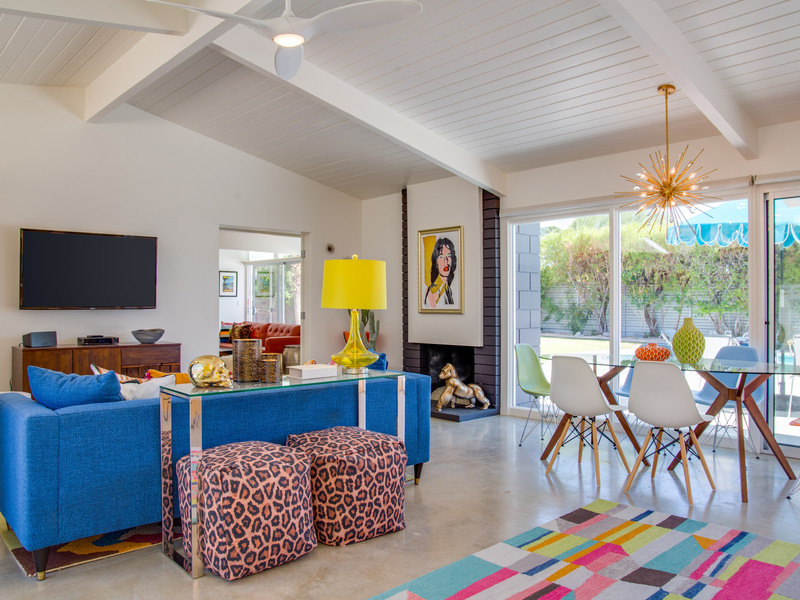 The property owners - big Jagger fans - preserved the original post and beam ceilings, the open concept floor plan and the expansive walls of glass. 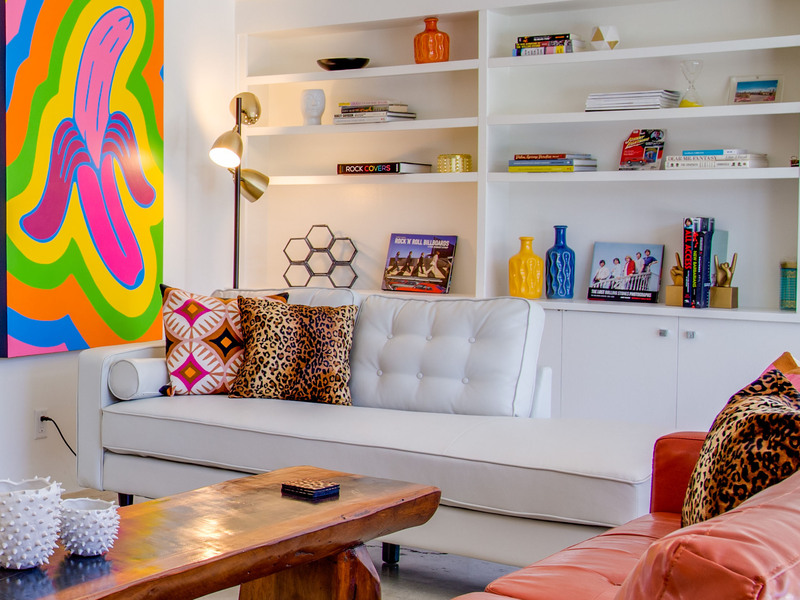 They brought in a comfortable mix of 1960s-inspired furniture, one of a kind authentic midcentury pieces and selections from their private collection of Jagger photos, posters, books and other memorabilia - creating a swanky vacation home experience that will make you feel like you have a backstage pass to the Sticky Fingers Tour. 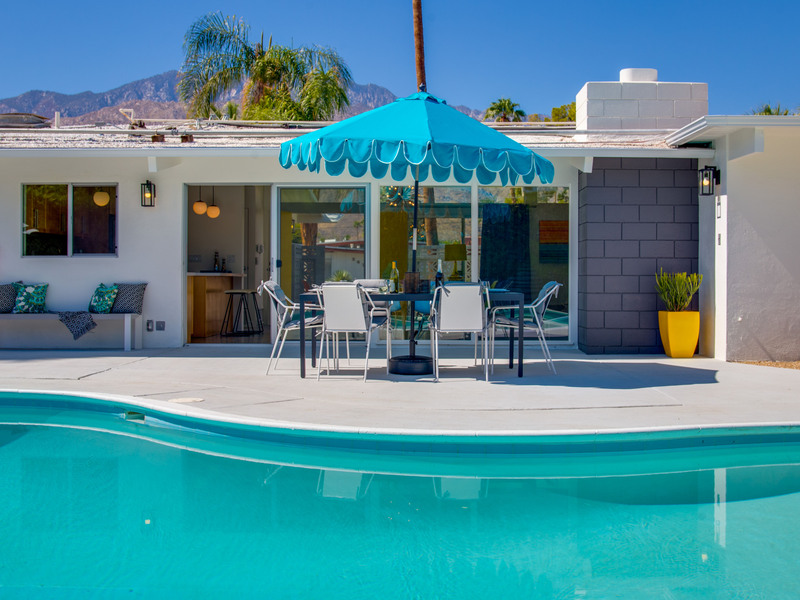 Jagger House is a mid mod Palm Springs vacation home rental with star quality. 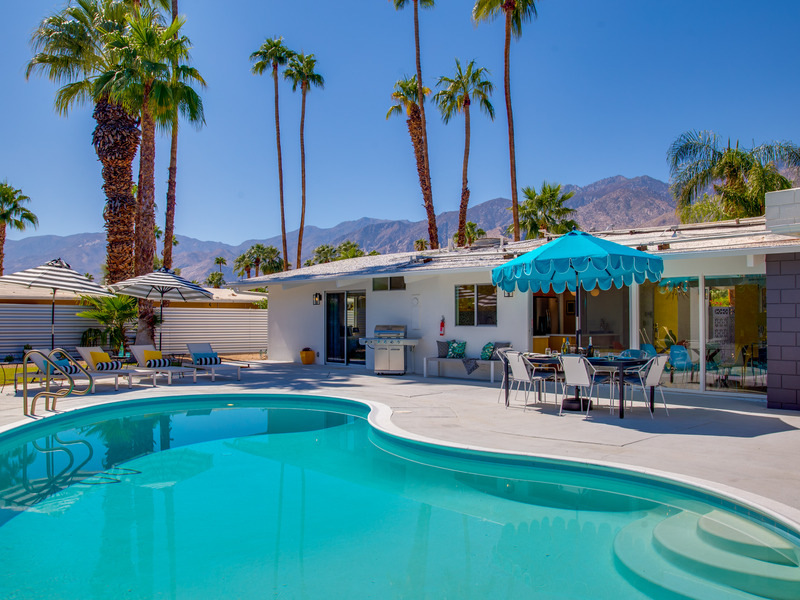 It has the cool Palm Springs vibe of yesteryear while feeling very next century at the same time. 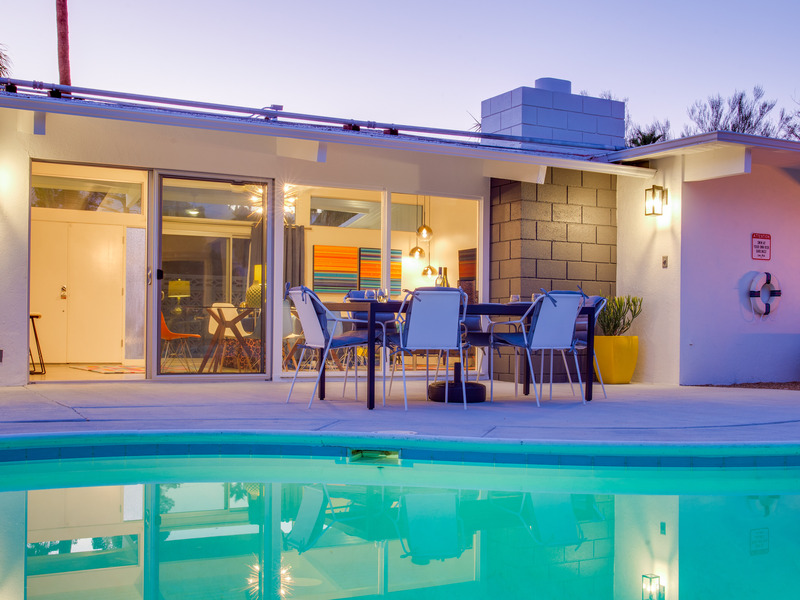 Gorgeous in its simplicity, you'll find clean lines, an open concept floor plan and spectacular walls of glass that let the light pour in and reveal the swanky sundrenched pool backyard. The living room, dining area and kitchen are all open to each other - providing enough space for your entire group to gather, relax and enjoy. The music room is perfect for jam sessions and has percussion instruments, tambourines, Guitar Hero - plus a cocktail area with wine fridge and prep area. 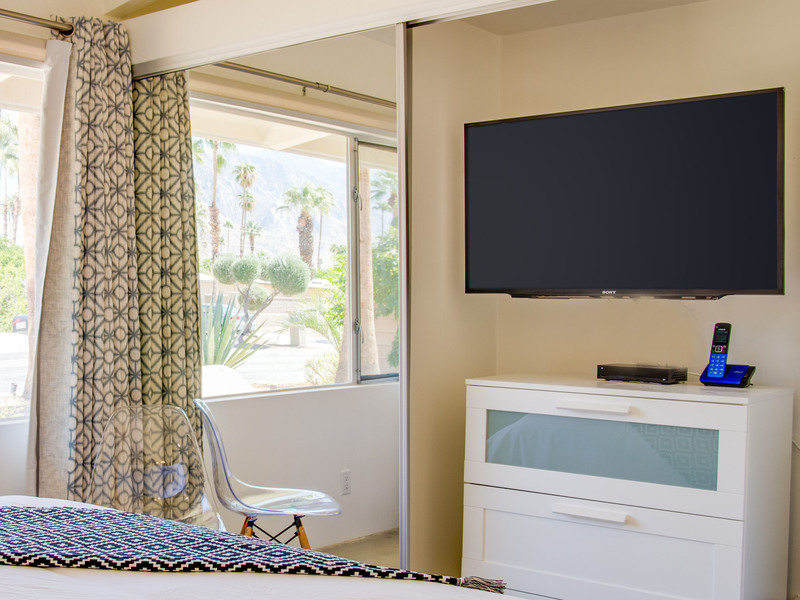 Everything has been reimagined for the way we live today with high speed internet, 5 flat screen televisions and upgraded heating and cooling system. 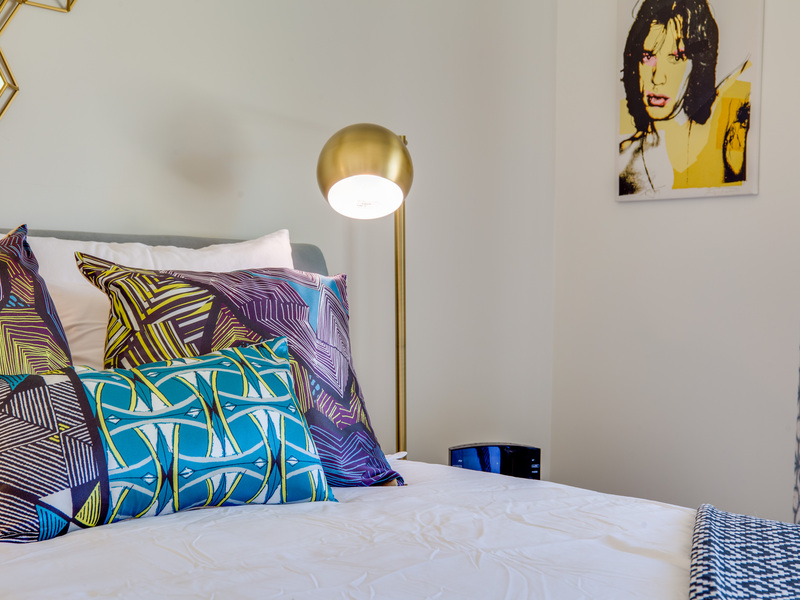 All of the bedrooms feature comfortable hotel-quality mattresses, ample storage, and flat screen televisions.The master bedroom offers a king-sized bed, en suite bath and its own direct pool access. 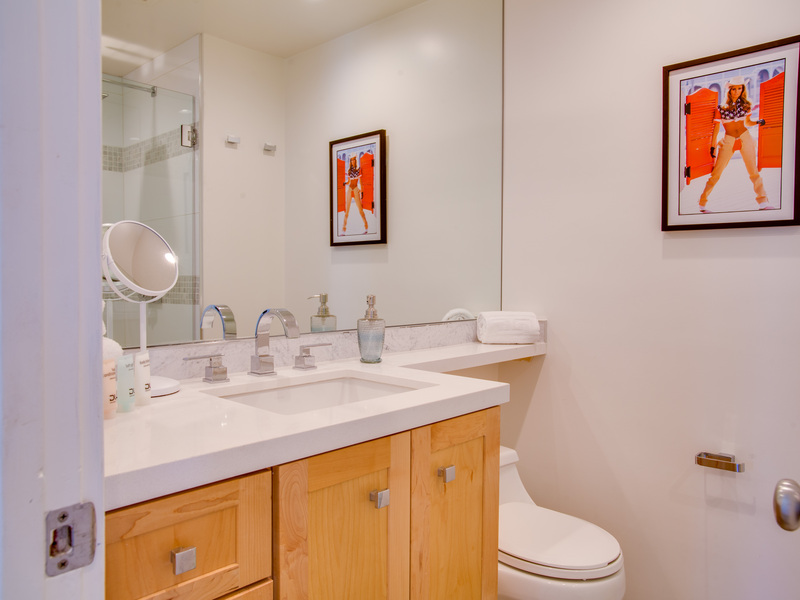 The King and Queen guest rooms share easy access to the hall bath. 3 Bedroom / 2 Bath / Sleeps 6. Beds: K, K, Q. 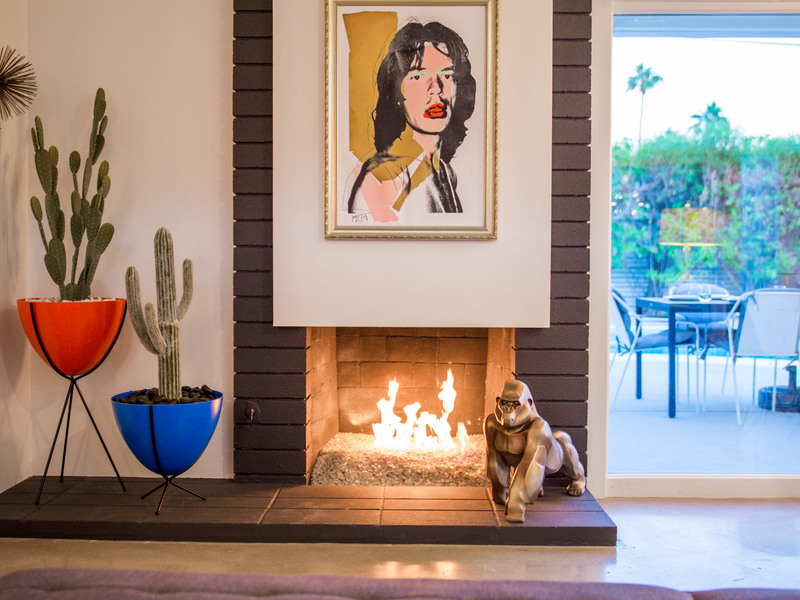 The Jagger House captures the magic of Southern California glamour. The backyard itself is heavenly. So private, spacious and well-planned. 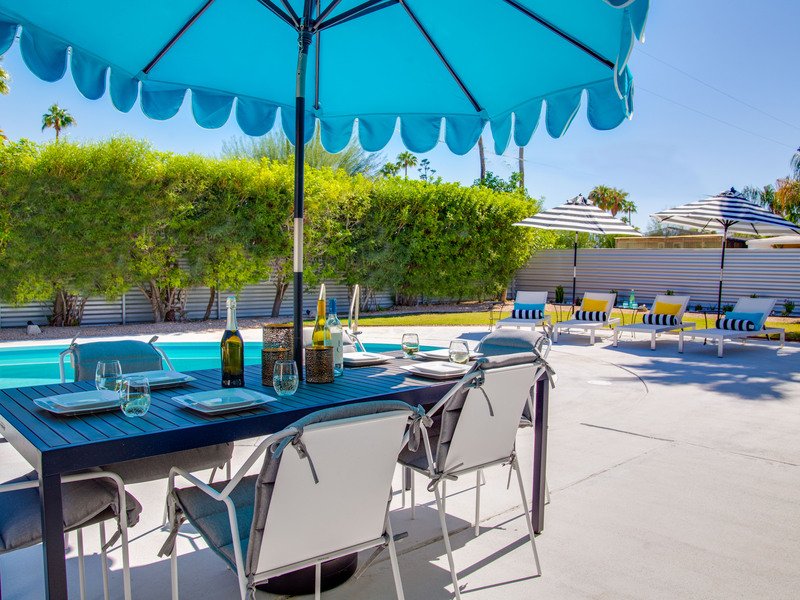 The in-ground, heated pool is surrounded by chaise lounges and shade umbrellas. 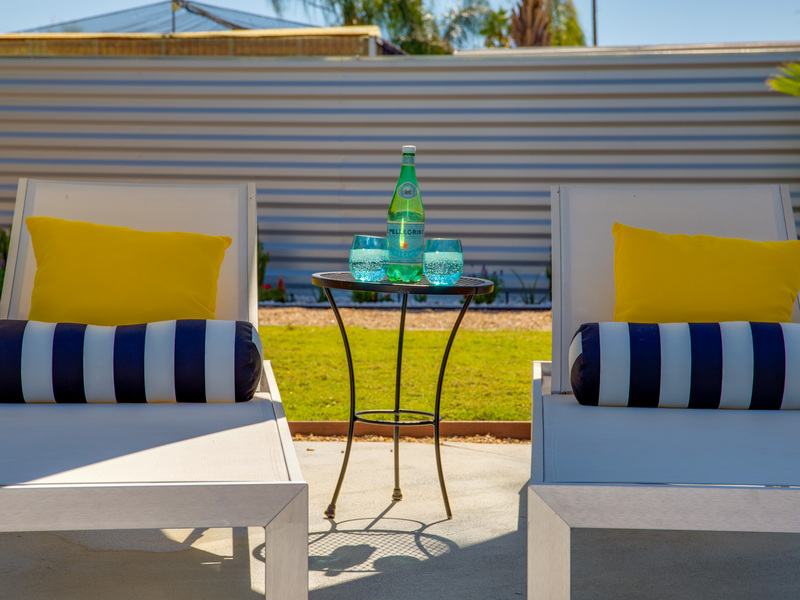 You'll also find an outdoor lounge with fire feature - perfect for those cool desert evenings. 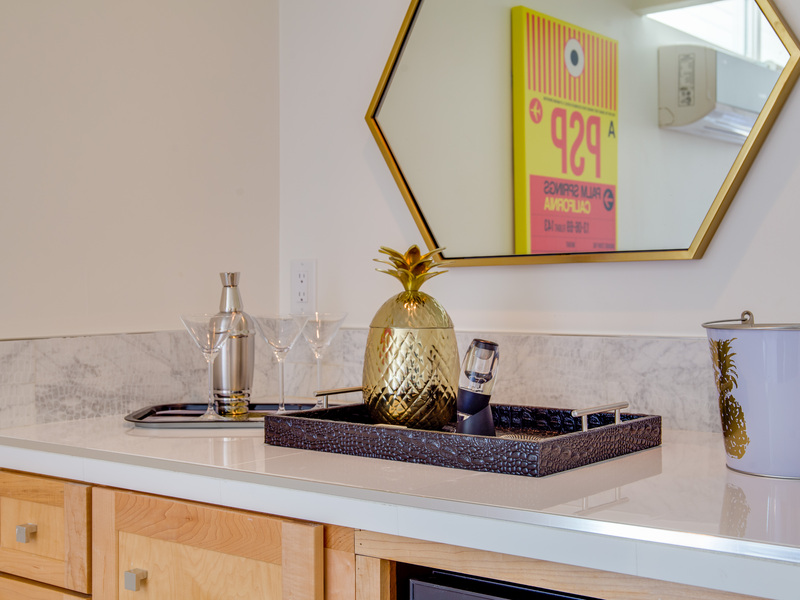 Concierge Services including Daily and Mid-stay Maid Service, Private Chef, Pre-arrival grocery stocking and poolside massage can be arranged. Three-week prior notice requested. Coolest Place In Palm Springs! "Loved it! 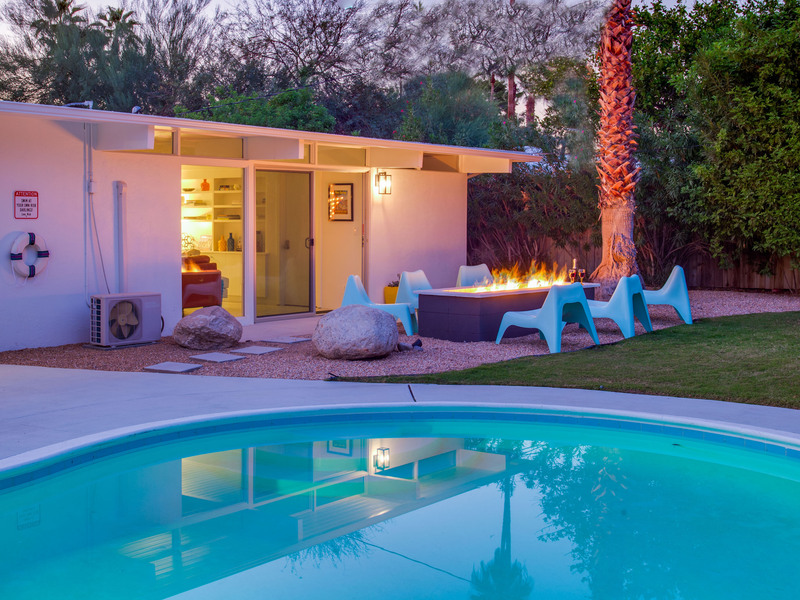 The Jagger house is the coolest place in Palm Springs. Every detail was carefully thought out. Incredibly comfortable, nice neighbors, and perfectly located. Looking forward to coming back." "Fantastic experience. Very personalized : somebody is there to welcome you. The house is great, it looks very nice and cool. Top of the range equipment"
"I spent a long weekend at the Jagger house with three girlfriends. We really enjoyed the outdoor space and pool. The house is spacious and well decorated. We had a great time, thanks!" "The experience of the property was awesome. Very pleased with the house & its contents. The location is close to the airport & downtown areas. We had one issue with tree trimmers next door. I called Acme House and they sent over a rep immediately and told the tree trimmers to clean up their mess on the property. Another rep came over after that & presented us with a bottle of wine. We appreciated the promptness & gesture. Will refer others to this great experience. 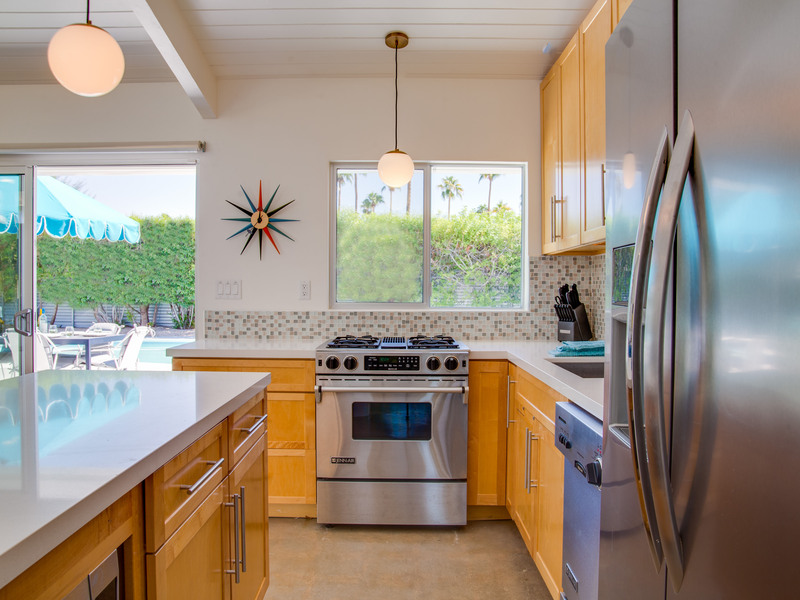 The property was clean & very well stocked with kitchen tools." "Highly recommend this place. Good location. Private pool yard. Great views. Very comfortable. We had a great time in the jam room with all the percussion instruments. The Mick Jagger theme was so much fun. We will rent this house again. Yes. Yes. Yes." "Can't wait to stay here again. Such a perfect house." "We booked this house at the last minute and couldn't have been happier. Even better than the online pictures. Well stocked kitchen. Super clean. 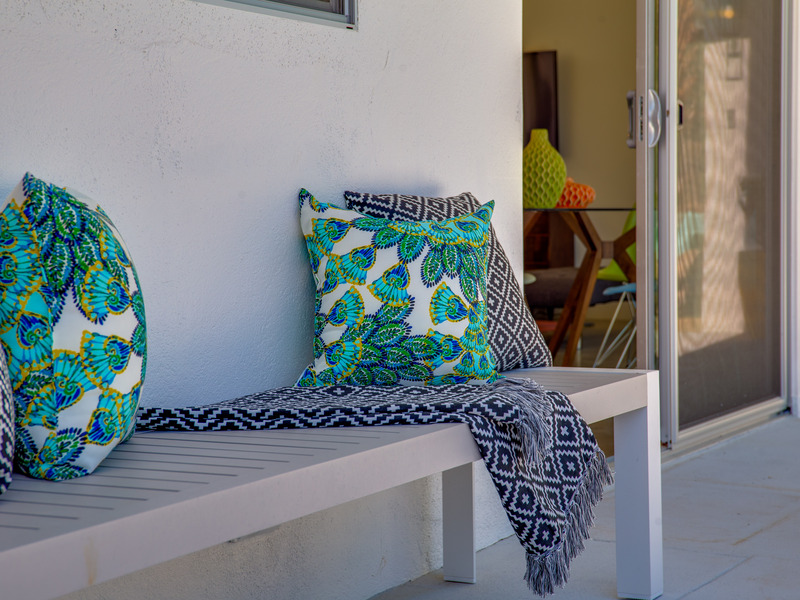 The owners clearly created this space for having a good time and being very comfortable. Thank you. We will be back." 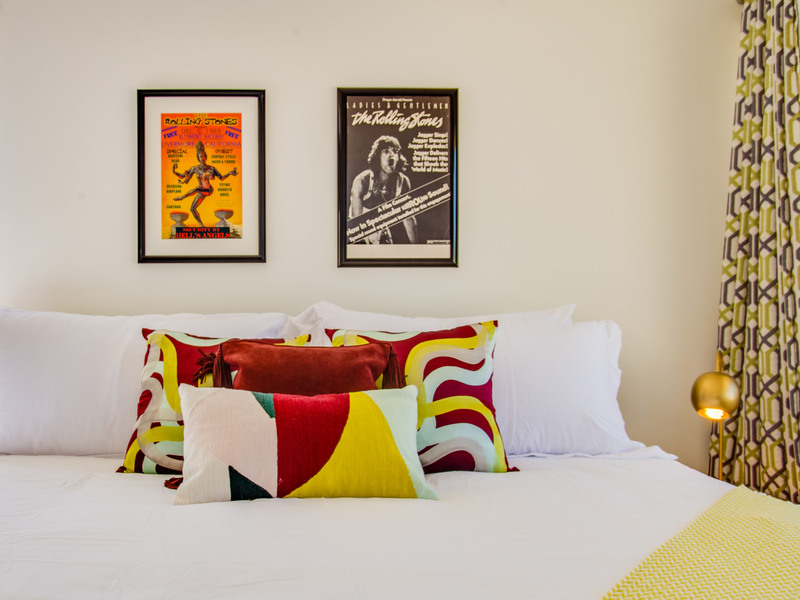 "Can't say enough about how great our stay at Jagger House was. Loved the pink slippers. Yes they are really there. We all got our inner rocker on with lazy days by the pool, naps, some bongo playing and a whole lotta rockstar! We stayed up late laughing. A lot of laughing. Kudos to Acme House Company for rockin it in the vacation home category. Great staff. Very helpful. And the house was so clean. Highly recommend." Best Time Ever! Perfect House! "Just our style. Thank you so much Acme House Company for recommending these new addition to your amazing portfolio, We were a little nervous about choosing this since it was kind of like a maiden voyage. But wow! This place is so fun. The pool yard is great. 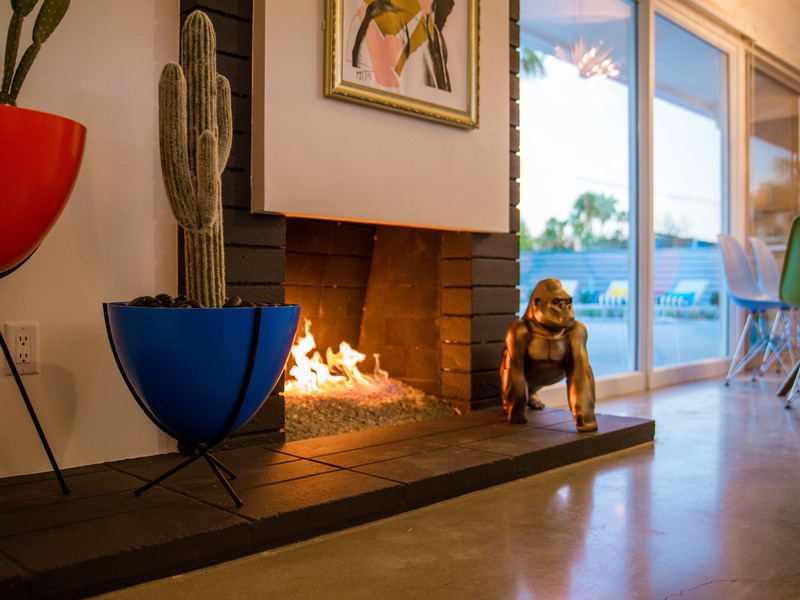 The firepit lounge was a great place for hanging on those cool desert nights. And who doesn't like a little Mick hanging around the house. 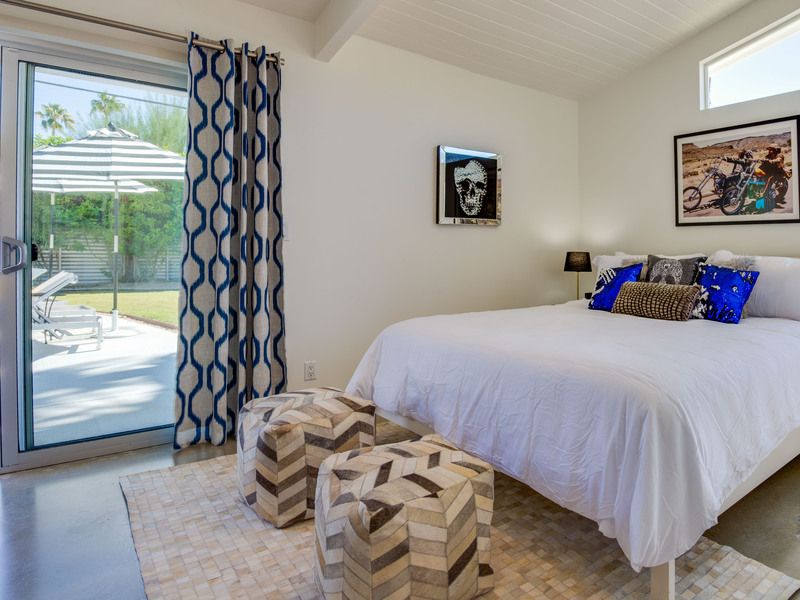 We loved the Jagger House and will be going back in April."